Bitless and Beautiful would like to celebrate IROBE members, Ann Milligan and Carter! Please watch Ann’s inspiring and delightful video below. We are so heartened and encouraged by Ann and Carter’s story and feel honored to share it. The beginning of a new year is always a powerful marker. It is a time to ponder all we have accomplished and a time to chart our course for journeys anew. Looking back is important, but always with an eye focused on moving forward. Missteps and mistakes are valuable. They create more wind for your sails! It’s critical, however, that these challenges never be allowed to collect and stagnate to become the sand bar where you get stuck. A new year can mean a new start, a fresh start. You have so many choices in front of you! You can continue to explore your current path or start on a new road altogether. If you are unsure where to go, let your thirst for growth and knowledge guide you. Consider stepping out of your comfort zone, dream a dream and move in its direction. Let joy and love guide you when you are unsure which way to turn, and always move in the direction of hope. Remember, you are never too old, never too young, and it is never too early or too late to pursue your dreams!!! Social media is such a powerful tool, and one that Nina and I have used extensively to spread our message and promote our movement. One of the best parts of this journey has been meeting like-minded people on the web and sharing our journey toward compassionate communication. This week, one of our Summergirls, Marlen, created some really impactful and wonderful memes for us. When Nina shared one of these memes, we discovered first hand the way social media can work in a more negative way. Over a few days, these memes generated an incredible outpouring of defensive, attacking responses on a local equine page. After talking about it, and analyzing our intentions and the responses, we all agree that the backlash is a good indication that we are challenging people in a meaningful way. 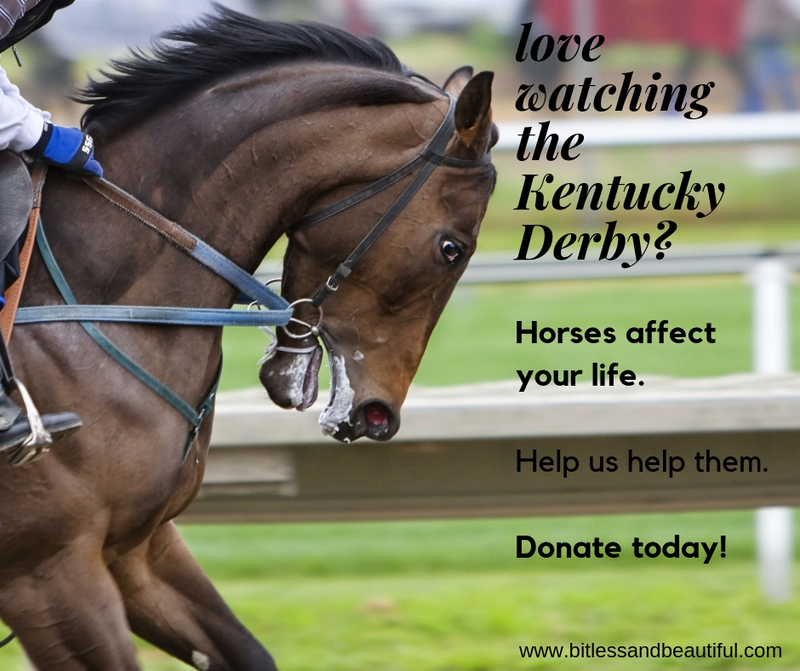 As hard as it can be to engage with people when they are threatened or feel conflicted, we believe its worth it to help our horses. With that in mind, I am including the memes below for downloading and sharing, as well as a video message from Nina. Happy posting! I have been riding since I was six years old. My most active of which was for a ten year period, where by the end of it, I was riding two or three times a week doing mostly dressage but also hunter/jumper work. As you can imagine, during that time period, I had many opportunities to learn horsemanship and practical riding skills. I always felt, however, that there was a whole dimension that I was lacking in my experience, but since owning my own horse was not an option for me at the time, I felt that I had reached my limit. How wrong I was! My equestrian approach was always based in the best of intentions - for the love of horses, and the bond between horse and (wo)man. I was always eager to learn more about these phenomena, but I was rarely given the opportunity to see beyond the formulaic and business-like one-hour group lesson. There also always seemed to be such a focus on achieving dominance over the horse, which resulted in an unbalanced power dynamic and lots of unnecessary methods or harsh accessories to “correct” behaviors rather than searching deeper towards the cause. This never sat right with me, but I also was not aware of another way at the time. Working with Nina Heller, the founder of Bitless and Beautiful and Summerwood Stables, has been a transformative experience. I finally feel the opportunity to explore a deeper relationship with horses - centered around riding bitless. As someone who had never thought bitless riding would be a practical or safe option, I was intrigued by the idea, but was absolutely shocked at the results. Not only is riding bitless absolutely practical and safe, it is not limiting in the least. 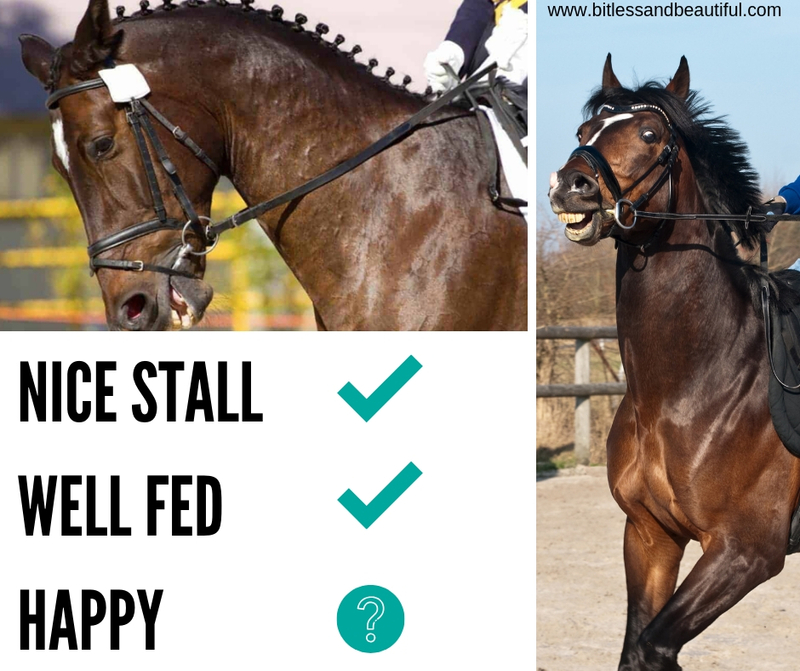 As a rider, I almost immediately picked up where I had left off and I continue to work on dressage with a more rewarding and balanced approach. I’ll never forget the first day I tried riding bitless with Nina and how effortless it was of a transition and how much happier the horses seemed. I’m definitely a stronger rider through it as well, and I rest assured that my relationship with the horse I am riding is much more of a balanced partnership than before. I’m excited for what is to come and I urge any equestrian to not be afraid to try riding bitless! Massage can be as simple as touching someone while filled with thoughts and intention of bringing that someone healing, or it can be a very systematic therapeutic process of learned and practiced movements, but the best is when it is both! Medicine is of the sciences, but I believe that healing is of the arts, and when art is involved, it is important to develop your own style. Thanks to the internet and YouTube, you can now study the concepts of massage quite easily and if you have a horse or horses to practice with, the horses can and will be excellent teachers and study partners. Let your horses help you develop your own style of massage, which should include a nice balance of intention, intuition, and learned skills. 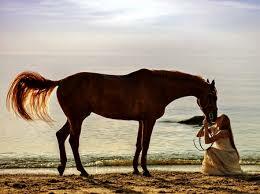 Always be safe, and listen to your horse, and respect what your horse is telling you. To get you started, please have a look at 2 of my favorite methods, the Masterson Method by Bill Masterson, and TTOUCH by Linda Tellington-Jones. How will you show your equine partner some love on valentines day??? How about a massage?? Besides the benefit to the body, your hands can transmit a message of love and caring to your horse that will support his/her emotional well-being. The release of endorphins and oxytocin will have your four-legged friend in a state of bliss and it lasts long after you have finished. So why not give your horse just another reason to love you?? Have look at our vlog on DIY massage for some pointers and inspiration, or just to get a look at the expressions on the face of our massage subject. One happy and satisfied customer! Massage is something we can all do. It’s one of the more innocent and simple acts of healing. The laying on of a well meaning and loving pair of hands, if only to offer warmth to a sore muscle, is not a bad place to start. Touching and feeling your horse with a flat palm or palms, all over the horse’s body, is a great introduction for horse and human. We have a mare that does not like to be groomed. We thought she just did not like being touched. Oh boy, were we wrong! I became curious to see if we could reframe her idea about human touch. We started with very, very gentle massage, and yes, she was suspicious at first, but it did not take long to win her over to this non-brushing, non-currying thing with the hands. We now start her with a massage before grooming, and she is so relaxed by the time the brushes come out that the grooming goes smoothly for all, and even tacking up for this mare is now easier. If you don’t know how to start this journey, just touch your horse. Calmly, slowly, and with love in your heart and hands.